Toyota Gazoo Racing will be at the 6 Hours of Fuji (12-14th October) fully intent on putting their Silverstone troubles behind them, while the GTE manufacturers will all be aiming to dent the lead that Porsche currently has in the points classifications. 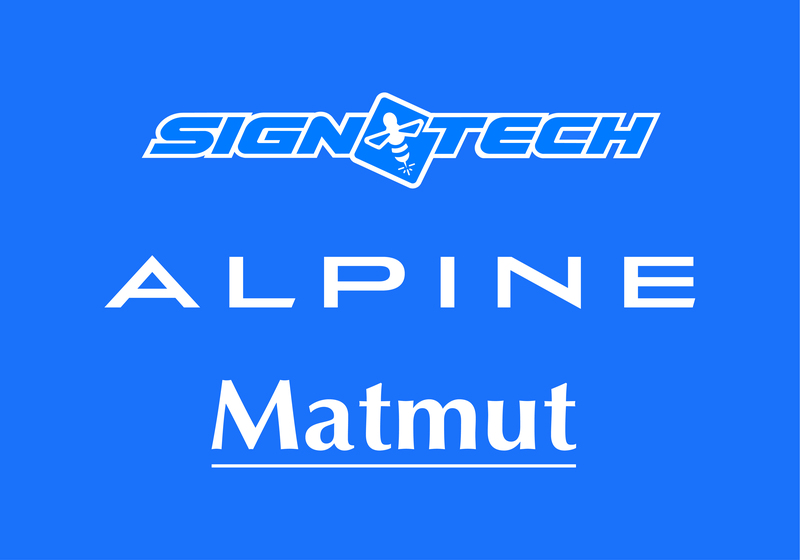 In LMP2 it couldn’t be closer at the current time between Signatech Alpine Matmut and Jackie Chan Racing, and Dempsey-Proton Racing will be looking to consolidate its strong lead in the LMGTE Am category. Note that the classifications remain provisional until the appeal against the disqualification at Le Mans of LMP2 class winners, G-Drive Racing, has been heard by the FIA Court of Appeal. 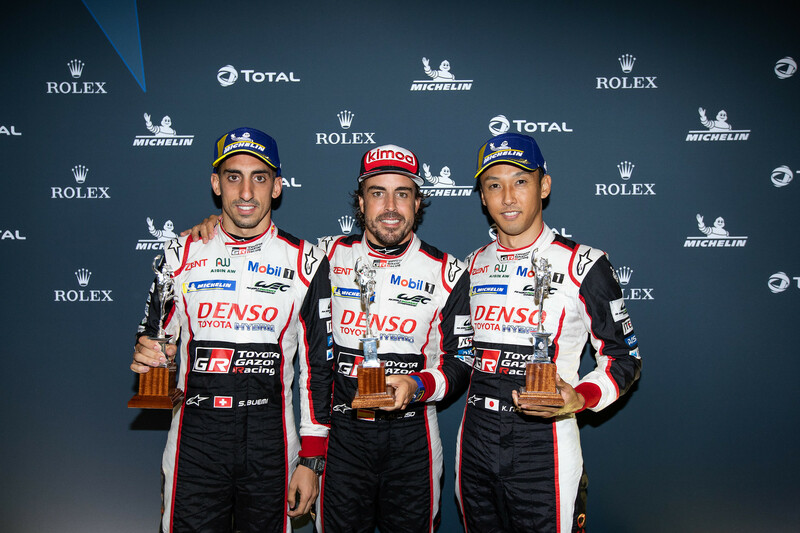 Despite the disqualification of the two Toyota TS050 HYBRIDS following the 6 Hours of Silverstone for non-compliance of the technical regulations, Sébastien Buemi, Kazuki Nakajima and Fernando Alonso still retain the lead of the LMP World Endurance Drivers’ Championship. Just two points behind them are the Rebellion Racing trio of Gustavo Menezes, Mathias Beche and Thomas Laurent, maximum points for Silverstone being added to the two podium finishes achieved this season. In third place are José Maria López, Kamui Kobayashi and Mike Conway on 46 points, with Rebellion’s André Lotterer and Neel Jani in fourth on 36 points – as their team mate Bruno Senna didn’t take part at Silverstone due to a broken ankle sustained in a practice crash. Toyota Gazoo Racing still holds a narrow lead in the LMP1 World Endurance Championship with 66 points. Rebellion Racing is in second place with 63 points, with SMP Racing following in third on 25 points thanks to third place at Silverstone. Porsche’s victory at Le Mans and dominance in GTE Am is reflected in the GTE Manufacturers Championship with the German marque holding a 40-point lead over Ford in the Manufacturers’ tables – 117 points over Ford’s 77 in second place, with Ferrari on third, just six behind the American automotive giant. In the GTE Drivers World title chase, Kevin Estre and Michael Christensen from the Porsche GT Team’s No.92 911 RSR continue to lead with 71 points, 14 ahead of Ford Chip Ganassi Team UK’s Stefan Mücke and Olivier Pla (No.66 Ford GT) in second place. 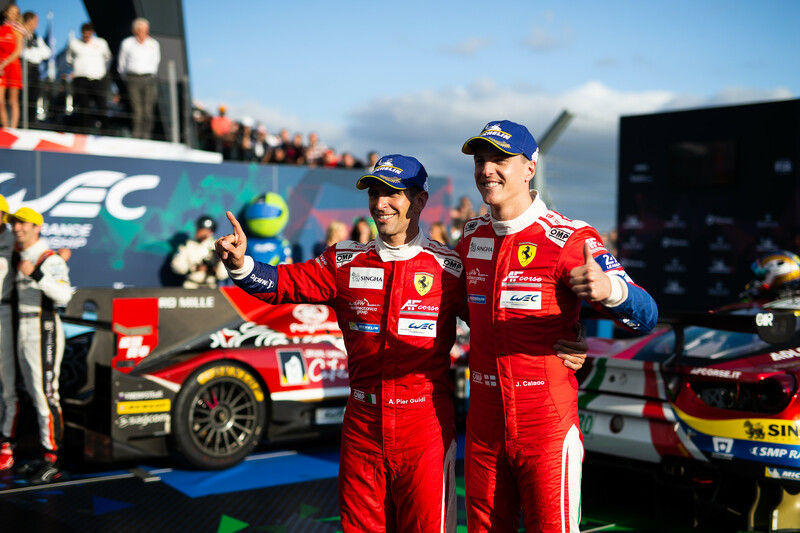 In third place in the standings, thanks to victory at Silverstone are James Calado and Alessandro Pier Guidi from the No.51 AF Corse Ferrari entry with 43.5 points, overtaking the unfortunate Porsche GT pairing of Bruni and Lietz who were disqualified after the Silverstone race and who slip to fourth in the standings. 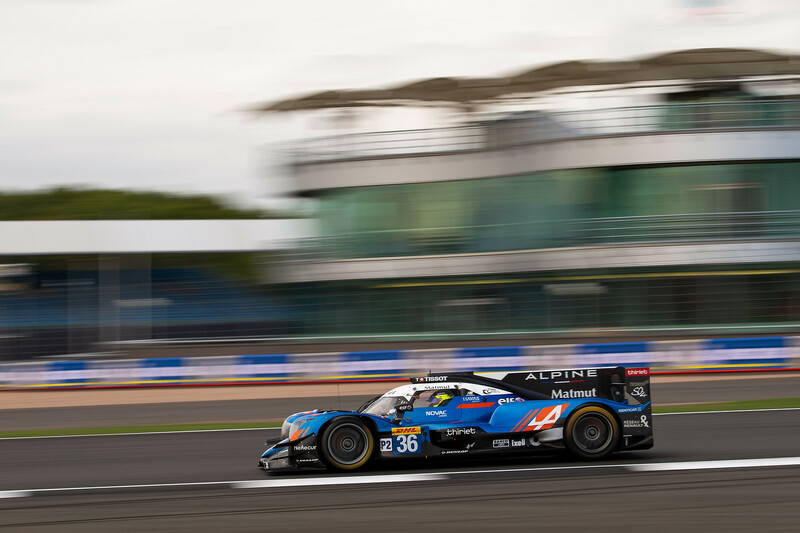 The Jackie Chan DC Racing squad took a famous 1-2 victory in LMP2 at Silverstone to close the gap to Signatech Alpine Matmut to just four points. The French Alpine squad lead with 72 points, followed by the two entries from the Anglo-Chinese team – the No.38 ahead of the sister No.37 entry by seven points thanks to its victory in the British round. In the classification for the LMP2 Drivers FIA Endurance Trophy, Signatech Alpine’s André Negrão, Nicolas Lapierre and Pierre Thiriet continue to top the charts ahead of Jackie Chan DC Racing’s Ho-Pin Tung, Stéphane Richelmi and Gabriel Aubry. The all-Malaysian line up of Jazeman Jaafar, Nabil Jeffri and Weiron Tan are in third place. The No.77 Dempsey Proton Racing Porsche 911 RSR of Christian Ried, Matt Campbell and Julien Andlauer maintained its strong form at Silverstone and added another victory to the full 38 points at Le Mans. They hold a 33-point lead in the championship classifications with, it must not be forgotten, their points also contributing to the GTE Manufacturers’ title chase. The consistent Singaporean team Clearwater Racing (Keita Sawa-Weng Sun Mok-Matt Griffin) are in second place with 43 points, their No.61 Ferrari 488 GTE just 2 points ahead of the No.56 Team Project 1 Porsche 911 RSR (Egidio Perfetti-Jörg Bergmeister-Patrick Lindsey) – the German team enjoying its first WEC podium at Silverstone. 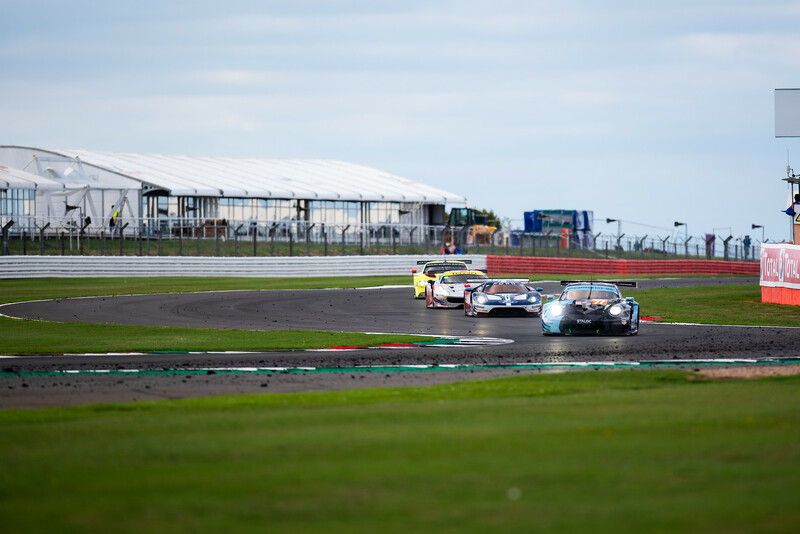 Aston Martin Racing’s Mathias Lauda, Paul Dalla Lana and Pedro Lamy finished in fourth place at Silverstone and are just four points behind Team Project 1. As stated earlier, with another edition of the 24 Hours of Le Mans as well as five other rounds, there is still everything to play for! The next round of the FIA WEC will be the 6 Hours of Fuji in Japan on 14th October. Ticketing opens for 6 Hours of Shanghai!